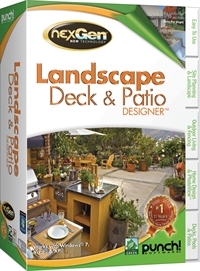 This is version 2 of the Punch NexGen Landscape Deck & Patio Designer software. 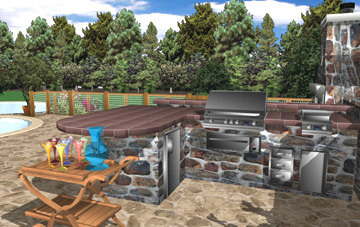 Design your entire backyard including your deck, patio, pool area and your hard and soft landscape. You can do a quick start with one of the existing deck designs or start from scratch and create your own unique backyard oasis. This package also includes one-click help that provides you with videos and information to use the software and create your deck and patio. Use the Site Planner module to layout your deck and patio from your legal description or in-field measurements. The one down side is that this software is a Windows only version and does not support the Mac operating system. The good news is that Punch also has a Mac version of Landscape Design software. Premade deck templates to give you a headstart with your design. Integrate your photos into your design wtih Design Realistic PhotoView™ technology. It lets you add landscaping, decks, and other details to your actual home. Create Master Price Lists Estimator produces a handy report in an editable, printable spreadsheet format. IntelliDeck allows you to follow the shape of your house. You can create simple or complex shapes in seconds. Drag and Drop landscape groupings.